(INN).U.S. Middle East envoy George Mitchell begins three days of talks with Israel and the Palestinian Authority Wednesday following PA Chairman Mahmoud Abbas’ statement he will consider direct talks in four months, meaning in return for an extension of the building freeze which is set to end at that time. Mitchell is armed by mainstream American media that generally have accepted U.S. President Barack Obama’s view that Israel should freeze all building for Jews in areas of Jerusalem claimed by the PA, as well as all of Judea and Samaria. Last fall, Prime Minister Netanyahu agreed to a 10-month freeze as a concession to both the Obama administration and Abbas. The PA leader now has made a permanent freeze a condition for returning to face-to-face talks with the Prime Minister’s negotiating team. The Likud party has lined up solidly for Prime Minister Netanyahu to fulfill his promise that the 10-month freeze will not be extended, despite support for Mitchell's stand from left-wing Israeli media such as Haaretz newspaper, and the highly influential American weekly news magazine Newsweek. The weekly carried an article in early June that alleged similarities between the Bush and Netanyahu governments. Newsweek , whose dislike of the Republican Bush was well known, described both leaders as ideological and right-wing, with a population traumatized by terrorist attacks and a government of military officers as advisers who advocate a campaign against Muslim terrorism. Newsweek’s conclusion resembles the pressure filled strategy of the Obama administration. Netanyahu has “deployed overwhelming force where nuanced, tactical approaches would have worked better, spurned international opinion; and ignored gathering discontent among voters at home,” the magazine asserted. “Staying the course…could do serious harm to Israel’s reputation abroad and be disastrous for Netanyahu and his Likud Party at home. (AFP).Prime Minister Benjamin Netanyahu on Wednesday intensified calls for face-to-face peace talks with the Palestinians, pledging to visit Ramallah if Palestinian president Mahmud Abbas would come to Jerusalem. Netanyahu spoke to reporters after talks with visiting US Middle East envoy George Mitchell and one week ahead of a visit to the White House for a meeting with US President Barack Obama. "I call on president Abu Mazen to come to Jerusalem,I'm prepared to go to Ramallah." "I hope and I believe that a main part of my conversations with President Obama in Washington next week will be focused on how to start direct peace talks between Israel and the Palestinians right away". "I think that this is the only way that we'll solve the intricate problems that we're discussing between us," he added. Mitchell earlier visited an Israeli land crossing into the Gaza Strip to see at first hand the effects of Israel's easing of tough restrictions on goods entering the blockaded Palestinian enclave. "We appreciate the changes that have been made," Mitchell said, standing next to Netanyahu in Jerusalem. "There's been a great deal of progress in terms of permitting additional goods into Gaza, and I was assured by your people there that whatever the demand is, the capacity will be there to meet it." (Haaretz.An independent Palestinian State is not a possibility in the next two years, Foreign Minister Avigdor Lieberman said following a meeting with Russian counterpart Sergei Lavrov in Jerusalem on Tuesday. "There is absolutely no chance of reaching a Palestinian state before the year 2012,ne can dream and imagine, but we are far from reaching an agreement." An apparent disagreement broke out between Lieberman and Lavrov during their meeting in Jerusalem over Moscow's increased efforts to include Hamas in Mideast peace talks. Last Month, the Foreign Ministry criticized Russian President Dmitry Medvedev's call to involve Hamas in the Mideast peace process, likening the organization to the Islamist Chechen rebels. In Tuesday's meeting, Lieberman reportedly told Lavrov, who arrived in Israel on an official visit, that Israel opposed Russia's recent advances toward Hamas. Lavrov responded that it was impossible to ignore the Islamist organization's popularity amongst Palestinians, particularly in Gaza. The reported closed-door disagreement quickly became a public one, as Lavrov openly defended his country's Middle East policy in the ensuing joint press conference with Lieberman, where he said that "Russia is doing the right thing by contacting Hamas,doing nothing would help no one." "In all our talks with Hamas we have tried to convince them to switch to the political track, and support the Arab peace initiative," Lavrov said. Lieberman, in turn, dismissed the disagreement, saying that the fact that the two nations were conducting dialogue in the matter was no secret. The two also reportedly differed on how to proceed with peace talks between Israel and the Palestinians, with the Russian FM saying that negotiations must be advanced, adding that the way to do so was to form a joint commission which would also include representatives of the Quartet, and the Arab League." "In the absence of progress in the political track extremist elements in the Palestinian nation will be strengthened," warned the Russian FM. Responding to Lavrov's comments, Lieberman defended Israel's efforts to conduct indirect negotiations with the Palestinians as a prelude to direct negotiations. However, he was pessimistic regarding the ability to reach an agreement. (Lee Rosenberg and Alan Solow-JTA) -- Like the people and governments of Israel, the pro-Israel community in the United States has long sought a resolution of the Israeli-Palestinian conflict through direct negotiations between the parties that would lead to a lasting peace agreement and Israel’s acceptance by all its neighbors. The Israeli people dream of peace, and their governments have worked and sacrificed for it. As American supporters of Israel, we are committed to helping them make it a reality. Since assuming office, Israeli Prime Minister Benjamin Netanyahu has pursued peace with Israel’s neighbors. Netanyahu declared his vision for peace -- for two states -- last June in a landmark speech at Bar-Ilan University, saying he supported the establishment of a demilitarized Palestinian state alongside the Jewish state of Israel. Underscoring Israel’s sincerity and willingness to make the most difficult choices in the pursuit of peace, a few months after his speech Netanyahu took another bold step, declaring a 10-month moratorium on all Israeli construction in the West Bank -- a concession that U.S. Secretary of State Hillary Rodham Clinton called “unprecedented” in advance of negotiations. Alongside political gestures, Israel also has taken significant steps to ensure that life improves for Palestinians in the West Bank, such as dismantling hundreds of West Bank roadblocks and checkpoints, and enabling greater freedom of movement between Palestinian cities. Israel’s cooperation also helped produce double-digit economic growth at a time of global recession. While the current Israeli government, like its predecessors, has proven its desire for peace, the leader of the Palestinian Authority refuses to meet or even speak on the phone with his Israeli counterpart. Given Mahmoud Abbas’ refusal to even sit down to speak face to face about a shared future, how can there be a chance for peace? During his recent visit to the United States, President Abbas made several public appearances in which he expressed his desire for peace. Many of his comments were significant and noted as such. But words alone are not enough. Abbas still refuses to talk peace directly with Israel’s prime minister, despite American demands that he do so. Abbas has said that his strategy is not to make concessions in negotiations but to encourage the United States, and even more the international community, to pressure Israel for unilateral concessions. Abbas rebuffed then-Prime Minister Ehud Olmert’s sweeping offer in 2008, and like Yasser Arafat before him, refused to even engage in more serious deeper discussions with Israel, which leads us to today, when new preconditions and further refusals to talk with Israel sabotage the dream of peace to which we all aspire. It’s not just Abbas’ refusal to talk that is problematic. In recent months, the PA has intensified its efforts to delegitimize Israel in the international arena and increased the incitement against Israel. By endorsing the Goldstone Report, the PA has pushed for senior Israeli leaders to be charged with war crimes. The PA also lobbied forcefully but unsuccessfully against Israel’s admission to the prestigious Organization for Economic Cooperation and Development. In addition, the PA continues to name schools and streets after terrorists, including Dalal Mughrabi, who killed 37 civilians, and Yahya Ayyash, a suicide bombmaker who is responsible for hundreds of deaths. The PA media carries outrageous programs portraying Israel and Jews in the most negative ways. Rather than seeking to isolate Israel in the international arena and to incite its population to hatred of Israel, the PA needs to prepare its people for genuine peace. On a topic as complicated and emotional as the Israeli-Palestinian conflict, it is easy to get caught up in the day’s news cycle and forget the history of Israel’s actual effort, sacrifice and good will in the pursuit of peace. As American friends of Israel we must, and we will, continue to remind our leaders about how badly Israel wants peace -- and how tragically the PA has only increased its demands and pulled away from the negotiating table. In the interim, the United States and Israel are attempting to engage the PA through “proximity talks” -- a significant departure from direct talks of the past 20 years. The Palestinian leadership now is refusing to engage directly unless it gets Israel’s concessions in advance, and the PA pays no price for its obstinate stance. Peace may be a dream, but it takes work and courageous leadership in real life to achieve it. Don’t blame Israel for the lack of progress. (Aaron Klein-WorldNetDaily). The Obama administration is set to pressure Israeli Prime Minister Benjamin Netanyahu to ease the blockade of the Hamas-controlled Gaza Strip during the premier's visit to Washington next week, according to Israeli diplomatic sources. Separately, a senior Palestinian Authority negotiator said the U.S. has placed the most pressure on Israel to ease the Gaza blockade. The negotiator said the Obama administration has taken a harder line against Israel on the issue than even the European Union or Arab states. "This attitude is emboldening Hamas," said the PA negotiator. An Egyptian security official, meanwhile, said the Obama administration pressured his country to open the Egypt-Gaza border last month without first implementing a security agreement previously brokered by the Bush administration that calls for PA guards to be stationed alongside Hamas on the Gaza side of the border. The Egyptian security official said that in discussions with the Obama administration, U.S. officials have been claiming they want to scale back the blockade of Gaza to generate popular opposition to Hamas. The official said that according to this line of thinking, the White House said it believes Hamas uses the blockade as an excuse to rule from a position of a government under siege. The official said the White House surmises that once the blockage of Gaza is lifted and Hamas needs to take more responsibility in Gaza, the territory's population will revolt against Hamas. The official, however, called the White House position "naive." "The [Obama] administration is playing with fire," said the Egyptian official. According to Israeli diplomatic sources, the Obama administration has been pressing hard on Israel to scale back its land blockade, demanding that dual-use materials such as metal and cement be allowed into Gaza. Israeli's are frustrated over 18 years of foot dragging in the peace process, this after 2 Prime Ministers went as far as they could go to answer every demand from the Palestinians , agreeing to a withdrawal to the '67 border, a joint government over the Temple mount in E. Jerusalem and even finding a solution to the refugee issue, and despite that the PA rejected the offer and declined Israel's stretched out hand for peace. And to note that years out of 18 years of peace negotiations, PM Netanyahu was not in power and the Palestinians and the US administration dealt with 5 different Israeli Leaders, and even that did not bring to a final peace settlement. U.S. envoy to the Middle East George Mitchell is frustrated by the conduct of Prime Minister Benjamin Netanyahu in the proximity talks with the Palestinians. Mitchell, who is due in Israel on Thursday for another round of talks in Jerusalem and Ramallah, has expressed to Netanyahu his wish to see more progress by Israel on core issues. A senior U.S. administration official told Haaretz Monday that Mitchell is interested in seeing more "seriousness" in talks on the core issues. "We want things to move faster and that there will be more progress on a number of issues," the senior U.S. official said. "To date there has been insufficient progress." The senior U.S. official also said that the administration would like Netanyahu to show more willingness for substantive discussions on core issues, and to see the Palestinians moving toward direct talks with Israel. The senior U.S. official said that the issues that were raised during talks between Netanyahu and Abbas and Mitchell were not identical - however, there was some overlap. "No one is refusing to discuss things that Mitchell wants to talk about," the American source said. A senior Israeli source updated on some of the content of the proximity talks said that the American frustration stems from the fact that Netanyahu has so far not given any clear answers on the borders of the future Palestinian state. During the past three rounds of proximity talks Netanyahu opted to dedicate much of the meetings to relatively peripheral issues, like water, the economic relations between Israel and the Palestinian state, and the development of a "culture of peace" in a future Palestinian state. The PM's bureau said Monday that "Israel is conducting the proximity talks very thoroughly, on a variety of issues, in order to move as quickly as possible to direct talks." (CBNnews).Israel's Vice Prime Minister Moshe "Bogie" Yaalon wrapped up a fascinating 1 hour, 30 minute appearance at the 2010 Epicenter conference in Philadelphia. I'm here with the CBN News team covering the two-day event, which focuses on Bible prophecy, Israel, and the Middle East, and is organized each year by New York Times bestselling author Joel Rosenberg. Yaalon received no less than three rousing standing ovations at Epicenter--one lasting for at least two minutes and punctuated by raucous cheers of support. As a former Chief of Staff of the Israeli Defense Forces, Yaalon has a reputation for being a serious man who's as tough as they come. But he appeared genuinely impressed and appreciative of the outpouring of love and affection he received from the Epicenter audience. 1) The growing radical Islamic order in the world, with the Iran/Syria/Hezbollah/Hamas/Palestinian Islamic Jihad axis on one hand (and Turkey's increased orientation toward that group), and the Al Qaeda/Taliban wing of the worldwide jihadist movement on the other. 2) The international effort to de-legitimize Israel's very existence, which Yaalon said is being spearheaded by radical Islamists, the radical Left and Arab nationalists. 3) The international acceptance of the "Palestinian narrative," which casts Israel as the colonialist occupiers and Palestinians as eternally oppressed victims (the Helen Thomas worldview). 4) Last, and perhaps most importantly, Yaalon listed maintaining Israel's "close and special relationship" with the United States and "closing gaps which may have temporarily opened "between the two sides." Yaalon said that intelligence sharing and cooperation between the U.S. and Israel saves American and Israeli lives on a daily basis. "Divided we are weak," he said. "And our enemies can take advantage of us. Only through unity can we defeat the forces of radical Islam. And only through unity can we succeed in empowering the moderate elements of Palestinian society and other Arab societies so crucial to attaining peace." Yaalon added: "In the coming months, we are going to see decisive moments in each of these areas. --Yaalon stated that "by one way or the other, the military nuclear project in Iran should be stopped--the sooner, the better." Yaalon said (surprisingly, I thought) that he believes when forced to choose between the bomb and survival, Iranian president Mahmoud Ahmadenijad would choose survival. When asked to elaborate by Rosenberg, Yaalon said the Supreme Leader, Ali Khameini, ultimately makes the decisions in Iran, not A-jad. He stated that in 2003, in the wake of the U.S. invasion of Iraq, Khameini decided to suspend Iran's nuclear program. He said that Iran restarted its nuclear program in 2005, when the regime realized, in Yaalon's words, that "the United States lost its political stomach." --Yaalon said bluntly that he believes Iran's regime is "not sure that there is a will" on the part of the United States right now to exercise the military option against Iran's nuclear facilities. --When asked if he felt the Obama administration was open to military action against Iran, Yaalon said that, according to the traditions of Israel's forefathers, righteous people hope that the job might be done by others. On the other hand, he said, there is another old saying that goes like this: "If I'm not for myself, then who is for me?" He added, "So we should be ready." --Yaalon believes there is still time to stop Iran's nuclear program through non-military means, but that it depends on the West. --Yaalon believes that the Russian government and the Iranian regime have in the past had a "kind of modus vivendi," with Russia supporting Iran under the condition that Iran would not be involved in terrorist activity in the former Soviet states. He said, though, that he is encouraged by Russia's willingness to get on board with sanctions against Iran. Unusually scathing criticism: Prime Minister Benjamin Netanyahu and Defense Minister Ehud Barak are "ruining the country," Opposition Leader Tzipi Livni charged Monday. Speaking during a Kadima faction meeting, Livni said Israel's top two government officials "are going from one crisis to another and leading Israel to one of the worst situations in its history." "Israel is in trouble, not because the whole world is against us, but rather, because of the problematic policy represented by this government," she said. "In order to save the state, we need to replace them and the policy they represent," Livni said. "We need a different policy that will be endorsed by a different coalition. It's not happening because Netanyahu doesn't want to change his way and his government, but rather, he only wants to survive. It's quite clear." The solution is to replace the leadership and save the country, rather than saving the government, Livni said, referring to recent speculation about Kadima possibly joining a national unity government. Responding to Livni's criticism, Likud Knesset Member Ofir Akonis said: "It's regrettable that at this time, Ms. Tzipi Livni erodes the public discourse via hysteric expressions, while failing to maintain her cool and show leadership." "She's the last one who can preach to any government," he said. "She didn't even defend herself in the face of the Goldstone Report's accusations." (AP).Sarah Palin on Sunday painted US President Barack Obama's administration as a cowering giant intent on surrendering the nation's mantle as a superpower and willing to sell out its allies. The former John McCain running mate addressed a paying audience of several hundred people in Norfolk and accused Obama of selling out Israel in over its naval blockade of Gaza and treating Prime Minister Binaymin Netanyahu shabbily: "And it's not just our allies here at home...oh, no. He wants to sell the allies of our friends in Israel too, if you can believe it. Why, I was told there was a report that he wanted to sell the allies right behind their television station- Tele-Vive, which means "Television Cheers" in French". "Now, I've been seeing lots and lots of those news trucks, let me tell ya, and they take up a lot of room. If you take em out of the allies and make em use the main streets, traffic in the Jewish cities is gonna be backed up for miles!" She also said Obama lacked the resolve to stand up to Russia and China. "Do they think, really, that we're getting anything in return for all this bowing and kowtowing and apologizing? No, we don't get anything positive in return for this," Palin said at the event spearheaded by a Norfolk talk radio station. "So while President Obama is getting pushed around by the likes of Russia and China, our allies are left to wonder about the value of an alliance with our country any more. They're asking what is it worth," she said. US Army Chief Admiral Mullen: "I see the challenges from an Israeli perspective"
Chief of the Israeli Navy, Maj. Gen. Eliezer Marom. important for the United States in the area. security of the entire area and the State of Israel," he added. (Shimon Shiffer, Yediot).The lifting of the blockade on the Gaza Strip and permission for Palestinians to leave the Gaza Strip freely through Israeli border crossings. These are the unequivocal demands that President Barack Obama is expected to make during his meeting with Prime Minister Binyamin Netanyahu in the White House in two weeks. As they set out on 11-day solidarity trek, captured soldier's family stands firm: "We won't go home without Gilad"; father calls on all Israelis to join procession to Netanyahu's residence. An estimated 10,000 people have joined Schalit family's "Freedom March" that set out from the family home in Mitzpe Hila on Sunday morning. "My heart is with Gilad Shalit and his family," Prime Minister Benjamin Netanyahu said Sunday morning as thousands of people began marching with the kidnapped soldier's relatives to Jerusalem from the northern community of Mitzpe Hila. Police officials estimated that 10,000 activists were taking part in the journey. Speaking at the start of the weekly cabinet meeting, Netanyahu called on the international community "to stand up and work to implement our unequivocal demand to release Gilad Shalit. "Friday marked the fourth anniversary of Gilad Shalit's abduction," he said. "My government and security elements are working continuously, in open and covert ways, to bring Gilad Shalit home safe and sound. "I telephoned Noam Shalit (the captive's father) this morning and told him they were embarking on a long march. I invited him and his family to meet with me at my residents upon their arrival in Jerusalem. I told him, 'I know you are on a long journey. I would like to see you and I would be happy to meet with you," the prime minister said. (Haaretz).Amitai Etzioni, professor of International Relations at George Washington University in Washington, D.C., believes the only option available to contain Iran's atomic ambitions is a series of assaults on its non-nuclear facilities. He maintains that President Obama's attempts at dialogue have failed, and drastic steps must be taken to prevent the U.S. losing its Middle East dominance to Tehran. Writing in the U.S. Army's "Military Review" journal, Etzioni lists four possible responses to Iran's nuclear program - engagement, sanctions, military strikes and deterrence. He concludes that engagement has failed, sanctions are not likely to work, military strikes on Iran's suspected nuclear sites are unlikely to be effective either and might only delay the program (Defense Secretary Robert Gates believes this would probably be by one to three years), and deterrence works with rational actors, but it’s a gamble to rely on it with non-rational actors. This, he hypothesizes, leaves strikes on Iranian infrastructure that is not necessarily related to its nuclear program. Speaking to Haaretz on Wednesday, Etzioni concedes that such a move could be interpreted by Iran as a declaration of full-scale war. “But it was published in the official U.S. army publication as a cover story. It says something, no? It’s not simply what a professor says. I agree that the White House is far from it, but somebody considered it worth discussing. You must assume that the military option covers several options”. One of the strategic assets of Israel today vis-à-vis Iran is the fact that the Arab countries are on its side. Wouldn't that vanish in the event of such an attack? “We do not want Iran to have a nuclear weapon and there is no way you can damage nuclear sites sufficiently by attacking them. There is only one alternative left. I should hasten to add – it’s not a policy Israel has to follow, it’s a policy the U.S. can follow because there are too many missions involved. Some people say Israel should do it and then the U.S. can enter under the excuse that it’s its ally, and some people think coalition is better. Coalition is always better, but in this case it’s very unlikely that many other nations would like to join the Administration. What’s happening in the Middle East is that the countries are assuming that the U.S. is going to fold and retreat. It’s obviously going to get out of Iraq. The Pakistanis are very suspicious of the US commitments. Syria is moving toward Iran, Turkey is moving toward Iran. So the underlying text in the Middle East is that the next superpower in the Middle East is Iran. So even if you for a moment put aside the nuclear issue – to keep the U.S. credibility to protects its resources and oil, the issue will not be settled in Afghanistan and Iraq, it will finally come down to the confrontation between the U.S. and Iran. So maybe the U.S. should get out of Afghanistan, because it’s not the real war anymore. But if the U.S. is going to let Iran to become a nuclear power – all the other countries, including the Sunni ones, will run to it. The U.S. will have to confront Iran or give up the Middle East”. So the hope that the Iranian opposition might still bring an inner change is lost? We have the cliché that the clock is ticking. What kind of timetable did you assume while writing this article? “I don’t have any other information than everybody else has. But there is a rule in decision making – it’s extremely simplistic but very true – it’s better be safe than sorry. So if the option is to hit them one month too early or 10 days after they have a nuclear weapon – I’d rather take the first option. And obviously there is not much time left”. (Bloomberg) -- Group of Eight leaders expect Israel may decide to take action against Iran out of concern that the country is building nuclear weapons, Italian Prime Minister Silvio Berlusconi said. Since “Iran is not guaranteeing a peaceful production of nuclear power, the members of the G-8 are worried, and believe absolutely that Israel will probably react preemptively,” Berlusconi told reporters today in Huntsville, Ontario, after a two-day meeting with other G-8 leaders. He didn’t elaborate. (HAaretz).Israel's ambassador to Washington, Michael Oren, painted a dark picture of U.S.-Israeli relations during a briefing at the Foreign Ministry in Jerusalem last week. Israeli diplomats say Oren described the current situation as a "tectonic rift" in which Israel and the United States are like continents drifting apart. Oren's comments come in the run-up to the July 6 meeting between Prime Minister Benjamin Netanyahu and U.S. President Barack Obama at the White House. Oren visited Israel over the past week, briefing Israelis at the ministry's North America and research divisions. Five Israeli diplomats, some of whom took part in the briefing or were informed about the details, said Oren described relations between the two countries in bleak terms. Oren, however, has denied making such statements. According to the Israeli diplomats, Oren said relations between the two countries are not in a crisis because a crisis is something that passes. Oren opted to use terms from geology: "Relations are in the state of a tectonic rift in which continents are drifting apart." Oren noted that contrary to Obama's predecessors - George W. Bush and Bill Clinton - the current president is not motivated by historical-ideological sentiments toward Israel but by cold interests and considerations. He added that his access as Israel's ambassador to senior administration officials and close advisers of the president is good. But Obama has very tight control over his immediate environment, and it is hard to influence him. The Israeli ambassador said the events of the Gaza-bound flotilla stirred a great deal of anti-Israel reaction - in the United States, too. Only after a few days did the situation balance out. "Even our close friends came out against us,Only after some time, when video from the ship arrived and was aired by the American media, did public opinion begin to shift in Israel's favor." The G8 closed its annual summit with a strong statement accusing Pyongyang of stoking tensions that could spread far beyond northeast Asia, and urged North Korea and Iran to halt atomic programs which have set the world on edge. The G8 highlighted fears over nuclear proliferation, and fingered North Korea and Iran as major threats. "The governments of Iran and North Korea have chosen to acquire weapons to threaten their neighbors. The world must see to it that what they spend on these weapons will not be the only costs they incur," Canadian Prime Minister Stephen Harper said. G8 nations helped guide through this month's new U.N. sanctions against Tehran -- boosting pressure on Iranian leaders who have vowed to maintain an atomic program they say is purely for peaceful purposes. The group welcomed Israel's decision to set up an independent public commission to investigate the incident, and urged Israel to fully implement a decision to begin relaxing the blockade imposed on Hamas-ruled Gaza some three years ago. #1. "We welcome the decision of the Israeli government to set up an independent public commission to investigate these events, which includes international participation, in the expectation that it will bring to light all the facts surrounding this tragic incident in line with the Statement of the President of the UN Security Council of June 1." = Israel's investigation could suffice. #2. "We welcome the Israeli Cabinet's announcement of a new policy towards Gaza as a positive development. We urge full and effective implementation of this policy in order to address the needs of Gaza's population for humanitarian and commercial goods, civilian reconstruction and infrastructure, and legitimate economic activity as well as the legitimate security concerns of Israel that must continue to be safeguarded." = the new Israeli policy has the potential to meet Gaza's needs. (via IMRA).The last few weeks have been marked by tensions between Israel and many countries of the world, some of them hostile for years and some more or less friendly. This is indeed because of the flotilla incident in particular, but also part of a wider context of growing criticism of Israel's policy regarding the occupation and the Israeli-Palestinian conflict. The campaign in the sphere of international public opinion, together with the domestic criticism of the functioning of the country's decision-makers, sparked an upsurge in indicators of patriotism, the superficial impression being that the Jewish public is united in perceiving that "the whole world is against us." The present survey looks into this phenomenon. The conclusion is that, while most of the Jewish public indeed supports a tough policy toward the Palestinians, not inconsiderable parts of it are aware-more than appears at first glance-of a connection between Israel's behavior and its deteriorating image in international public opinion. We asked: "Some claim that despite the international criticism, Israel should continue the blockade of Gaza and only allow the entry of the most essential items so as to keep the pressure on Hamas and prevent attacks from there on Israel. Others claim that the price Israel is paying for the blockade in world public opinion is higher than the risks of removing it. With which opinion do you agree more?" before Prime Minister Netanyahu's announcement on canceling the limitations Israel had imposed in the past on the entry of goods into Gaza). In the Arab public the picture is indeed the reverse: only a minority- 23%-agreed with the first, security-oriented claim, while the overwhelming majority- 71%-agreed that the price of the blockade for Israel's international image is too steep. 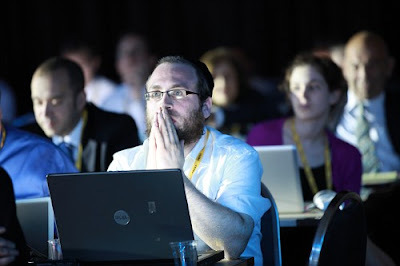 connection to degree of religiosity: 70% of the secular, 81% of the traditional, 90% of the religious, and 93.5% of the haredi. In addition, we asked: "Recently Israel's status in the international community has fallen, and more and more voices even question its right to exist. Do you think there is or is not a connection between this trend and the policy of the current Israeli government?" Here the picture is more balanced-that is, the Jewish public is split down the middle. Whereas 48% see no connection between Israel's policy and its declining international status, the exact same rate of 48% consider that there is some connection, or even a strong one, between the trend in world public opinion and Israel's policy. The picture in the Arab sector is more clear-cut: only 30% see no connection while 69% see some, or a strong, connection between Israel's policy and its international status. With absence on PM Netnayahu, Likud Central Committee votes on settlement building which will resume in Sept. The Likud central committee endorsed building in Judea and Samaria on Thursday at a meeting boycotted by Prime Minister Binyamin Netanyahu and attended by only three cabinet ministers. The meeting was planned seven months ago and repeatedly delayed at Netanyahu's request. The prime minister made clear to ministers that he would not look fondly upon their attendance. "The Likud central committee strengthens and supports the residents of Judea and Samaria," the proposal said. "The central committee supports building and developing throughout the Land of Israel including in the Negev, the Galilee, Greater Jerusalem and Judea and Samaria. The central committee calls on all its representatives, in all elected bodies, to act in accordance with this decision and further the development of the communities in Judea and Samaria." The goals of the event's organizer, MK Danny Danon said: "It is important for people who live in Judea and Samaria and for those who live on Pennsylvania Avenue in Washington to know that this is the policy of the Likud,". The ministers who attended were Communications Minister Moshe Kahlon, who chairs the central committee and ministers-without-portfolio Bennie Begin and Yossi Peled. Begin was the only MK who addressed the crowd. He read the security cabinet decision that instituted the freeze, emphasizing the clause that said that construction in Judea and Samaria would resume at the conclusion of 10 months. "On Succot, which is the holiday of joy, the military injunction [enforcing the freeze] will end," Begin said. "There will be not be another injunction in its stead." While Netanyahu was not at the meeting, he was featured in flyers distributed at the event by the Likud's Judea and Samaria branch. "Judea and Samaria will not be Judenrein," Netanyahu said in a quote from his election campaign highlighted on the flyer. "I will not evacuate settlements and will not establish a Palestinian state. I am not volunteering any withdrawal. I have never uprooted a single Jew - anywhere. The supreme test of any elected official is whether he keeps his promises to the public; my political colleagues and I have done this. Knesset Speaker Reuven Rivlin, who attended the event, told The Jerusalem Post that holding the event at this time was a mistake. "There is no point in restating the obvious that the Likud backs Judea and Samaria at a time when it can be interpreted as provocative by the world," Rivlin said. (INN).Prime Minister Binyamin Netanyahu took the opportunity, while greeting Austrian Chancellor Werner Faymann, to mock and castigate Iran, Hizbullah and Hamas for exploiting women and others - while organizing a "human rights" boat to Gaza of women. Faymann has been a friend of Israel, recently describing a Vienna city council resolution that unilaterally condemned Israel’s seizure of the Gaza-bound flotilla as “unbalanced.” He also resisted internal Austrian pressures to call off his visit to Israel. Netanyahu greeted Faymann at a joint press conference, and praised his country for voting for sanctions against Iran in the UN and other steps. He then took the opportunity to describe Israel’s new Gaza policy – and explained harshly that continuing “flotilla” attempts to break Israel’s blockade are hypocritical and anti-peace. “I just heard of a new method they have. They intend to make cynical use of women in order to cover up their hostile activities. My friends, I want to show you the extent of the absurdity. The darkest forces in the world – Iran, Hezbollah and Hamas, who want to return the world to the Middle Ages, who prevent their women from dressing, working and expressing themselves freely, where their women live in slavery and oppression, frequently without their basic rights, often subject to violence; they dare to organize a boat of women as propaganda against Israel?! “The time has come to put a stop to this hypocrisy and work towards genuine women's rights and human rights in our region. I call upon all peace and human rights activists in the enlightened world: Go to the places where they oppress women; Go to the places where they hang homosexuals in town squares and deny the rights of minorities; Go to the places where there is no freedom of expression, no freedom of the press, no independent courts, no human rights organizations and no human rights. Go to Teheran. Go to Gaza. “Anyone for whom human rights are truly important needs to support the democratic and liberal Israel against these dark forces. This is the change that will help us advance peace together and to push aside the forces opposed to it. Prime Minister Benjamin Netanyahu on Wednesday attended a Knesset session initiated by the opposition under the banner, "The Netanyahu government's failed conduct and the collapse in Israel's status in the world." Netanyahu listed a series of operations undertaken by his government, and ruled, "I think we should take a long-range approach regarding the de-legitimization of the State. We are under repeated attacks on the State's legitimacy." "An unsacred coalition is being formed, particularly in the past decade with the rise of radical Islam and the strange cooperation with the radical Left, especially in Europe. This cooperation focuses on one thing only: The continued existence of the State of Israel. "I think the attacks on us are only the first stage,I think they hate the free pluralistic society. But at the moment, the focus of that society, which they hate so much, is the State of Israel. And this is why we are witnessing an accumulating wave. It begins in Europe, emerging from political correctness, using significant parts of the media – and slowly spreads and conquers governments as well." Netanyahu listed a series of examples of the de-legitimization of the State of Israel from the past decade, starting with the Durban conference in 2001, through the International Court of Justice's discussion of the separation fence and the attempt to arrest Major-General Doron Almog in London, to the Goldstone Report against the Israeli operation in Gaza. At this point he was interrupted by Knesset Member Talab El-Sana (United Arab List-Ta'al), who shouted, "The entire world is against Israel, England is against Israel. Perhaps there is a problem with Israel." "I know there is a tendency to say that this entire problem is the result of the lack of peace process in the past year, and we are interested in it more than anyone else in this building. But don't delude yourselves that a peace process will solve this long and dangerous trend, which we have been facing for at least one decade." Nonetheless, he listed the diplomatic moves taken by his government, including the proximity talks with the Palestinians and the ease of restrictions on the West Bank, and called on Palestinian President Mahmoud Abbas to advance the peace process and launch direct talks with Israel. "Where is this peace process?" Kadima lawmakers shouted during his address. Speaking before the prime minister, Kadima faction chairwoman Dalia Itzik said that her party was interested in forming a national unity government. "In the past few days we have been hearing about the unity government spin. I have a feeling that someone, not you, is trying to play for time through this spin, to fool ministers in their party. I am telling you on behalf of nearly the entire Kadima faction, we want a unity government. A new unity government." According to Itzik, this would be a government "which will move the State forward with new basic guidelines, with peace negotiations from the point the talks left off during the previous government's term. "You want a government which will represent the majority of this people? Change the coalitional structure. I am sure you don't sleep at night, and if you do sleep at night you have a problem," she told the prime minister. At this point Netanyahu replied, "Dalia, I sleep but just a little. I sleep well, but a little." "The country is in danger, the country is in trouble," Itzik continued. "Don't rely on the guys in the Labor Party. I am telling you this with all my heart: Your government will dissolve much faster than you think. A year and a half ago we didn't need to engage in PR this much because we had a policy. "I remember your slogan, 'A strong leader for a strong people,'" she added. "You must admit that this is a big joke. You lifted the siege on Gaza, you have frozen the construction in Jerusalem and the settlement blocs, you released dangerous terrorists who were on the flotilla, and for the first time foreign observers are included in a commission of inquiry. This is very dangerous. Tell me, is this really a strong leader?" MK Ofir Akonis (Likud) responded to Itzik's address. "You should know the truth: (Kadima Chairwoman Tzipi) Livni turned down a national unity government twice in two years," he said. He referred to Livni as a "Knesset seat thief", saying "you promised to be a responsible opposition, but how much hypocrisy and how many lies can you tell the public? Kadima has broken a record in political filthiness." (Washington Post).Prime Minister Binyamin Netanyahu's national security adviser said Tuesday that new U.N. Security Council sanctions against Iran are inadequate to thwart its nuclear progress. A preemptive military strike might eventually be necessary, he said. Arad's comments, made to a gathering in Jerusalem of the Jewish Agency, a body that promotes Jewish immigration to Israel, illustrated the challenges President Obama faces reassuring an increasingly impatient Israel that the United States can stop Iran from obtaining a nuclear bomb. Arad did not directly address the likelihood that Israel would strike militarily to set back the country's nuclear program. But he said he believed the international community would back such a decision. "I don't see anyone who questions the legality of this or the legitimacy," Arad said of a possible Israeli strike. "They only discuss the efficacy, which is interesting. It suggests that people understand the problem. And they are not questioning the right." Arad called the new U.N. sanctions, along with additional sanctions being drafted in Congress, "necessary" but "simply not sufficient" to thwart Iran's nuclear program. He also noted what Israeli officials have perceived as a shift in U.S. policy toward Iran, citing a subtle change in rhetoric. Officials say they think Obama is now more willing to employ military force, in the event it becomes necessary, to prevent an Iranian nuclear weapon. "I read with interest observations made by American Secretary of Defense [Robert M.] Gates, in which he didn't rule out any other options," Arad said. "I also took notice -- all of us did take notice -- that the United States [has] changed the definition of its policy on Iran, from one that said a nuclear Iran would be 'unacceptable' to one in which it said that the United States 'is determined to prevent Iran from becoming nuclear.' There is determination there. There is activism," Arad said. (Bloomberg) -- Israeli Prime Minister Benjamin Netanyahu called earlier today on Palestinian Authority President Mahmoud Abbas to immediately start direct peace talks. In a speech today in Jerusalem, Netanyahu said Israel had taken measures to advance peace, such as removing roadblocks in the West Bank and imposing a freeze on building in Jewish settlements. “Israel has taken other steps as well, while to its regret, the Palestinians still refuse to meet and even tried to prevent Israel’s acceptance into the Organization for Economic Cooperation and Development,” Netanyahu said, according to an e-mailed statement from his office today. (washingtonpost). Prime Minister Binyamin Netanyahu's national security adviser said Tuesday that the push for Palestinian statehood has weakened Israel's standing in the world and suggested that the outlook is bleak for U.S.-mediated negotiations in the region. Arad's comments, made to a gathering in Jerusalem of the Jewish Agency, a body that promotes Jewish immigration to Israel, illustrated the challenges President Obama faces in laying the groundwork for meaningful peace talks, as well as reassuring an increasingly impatient Israel that the United States can stop Iran from obtaining a nuclear bomb. Obama is scheduled to meet with Netanyahu in Washington on July 6. "The creation of a Palestinian state remains the choice of many. But in the process, have you failed to notice that the more we lend legitimacy to a Palestinian state, the more it comes at the expense of our own?" Arad told the audience, made up largely of American Jewish supporters of Israel. Arad described the Palestinians as "major actors in the de-legitimization of Israel" and questioned Israel's decision to back talks on Palestinian statehood in the first place. "In trying to make peace" via the indirect U.S.-led talks, "we are embracing an adversary who is conducting a very effective battle against us internationally," he said. "Maybe we should have acted somewhat differently -- less zealous to champion the Palestinians and more eager to defend our own ranks." Arad said, nevertheless, that Israel still aspires to peace with the Palestinians, as well as with Syria. But he was skeptical of the value of Israel putting forth any bold new peace initiative, as Defense Minister Ehud Barak and opposition leader Tzipi Livni reportedly advocate. "If we do make an initiative, which incorporates further concessions, it would only validate their current rejectionist position, leading them to say, 'If we wait long enough there will be some more,' " Arad said, referring to the Palestinians. Dear President Obama:You will be the first American president that lied to the Jewish people, and the American people as well, when you said that you would defend Israel, the only Democratic state in the Middle East, against all their enemies. You have done just the opposite. You have propagandized Israel, until they look like they are everyone's enemy - and it has resonated throughout the world. You are putting Israel in harm's way, and you have promoted anti-Semitism throughout the world.You have brought this to a people who have given the world the Ten Commandments and most laws we live by today. the cures for many diseases, and now you play a very dangerous game so you can look like a true martyr to what you see and say are the underdogs. But the underdogs you defend are murderers and criminals and want Israel eradicated.You have brought to Arizona a civil war, once again defending the criminals and illegals, creating a meltdown for good, loyal, law-abiding citizens. Your destruction of this country may never be remedied, and we may never recover. I pray to God you stop, and I hope the people in this great country realize your agenda is not for the betterment of mankind, but for the betterment of your politics. With heartfelt and deep concern for America and Israel. (Maariv- via Coteret).It turns out that Quartet envoy to the Middle East Tony Blair was the person who in fact presented to the international media the change in the policy of the Israeli government on the Gaza blockade. This was decided in coordination with Prime Minister Binyamin Netanyahu. And what was the prime minister’s contribution to helping Israeli PR efforts? He made do with a short statement to the press that he gave at the Likud faction meeting, and another laconic statement in English that was given to the foreign media. (Jpost).The change in Turkey’s orientation and its return to the Middle East is an event of historic magnitude and nobody quite knows where it will lead, Israel’s ambassador to the US Michael Oren told The Jerusalem Post on Monday. “We are living in a sea of change,” said Oren, a historian who has written two books on the Middle East. Oren said that in addition to a “sea of change” in Turkish policy, there has also been a major shift in US foreign policy, with US President Barack Obama coming into power determined and serious about bringing change to American domestic and foreign policies alike. By contrast, he said, the positions of Prime Minister Binyamin Netanyahu’s government have, in most respects, been indistinguishable from those of previous governments, and that what is changing is not Israeli policy, but rather US and Turkish foreign policy. After Israeli-US relations suffered an extremely difficult month of March that saw the visit here of US Vice President Joe Biden, followed by a less than sterling visit by Netanyahu to Obama (one which Oren said was not as bad as reported in the press), the tone from the Obama administration has since changed significantly. “The tone changed within a week,” Oren said, citing as reasons both US domestic political considerations and a realization in Washington that the policy was not helping the diplomatic process and leading to negotiations. Oren said that the Palestinians believed they could “sit back and watch a wrestling match between the US and Israel,” and that the US administration’s change of tone toward Israel “disabused” them of that notion. Oren said that one of the great new challenges Israel faces in Washington is that it is becoming an increasingly partisan issue. His comments come as polls consistently show a sharp increase in support for Israel among Republicans, and a decline among Democrats. “Bi-partisan support for Israel is a national strategic interest for us, and I’m sometimes in the difficult position of having to tell some of Israel’s most outspoken supporters to be aware of this,” Oren said. “I’m concerned about the drift toward partisanship, and while the American people remain overwhelmingly supportive of Israel, pro-Israel, when you break it down by party you get a more nuanced picture, and for me a more troubling picture,” he said. (ABCnews).Binyamin Ben-Eliezer, 74, Israel's trade minister and a confidant of Prime Minister Benjamin Netanyahu, discusses the massive criticism of his country following the Israeli army's deadly raid of the pro-Gaza flotilla and recent setbacks in relations between Germany and Israel. SPIEGEL: Since the raiding of the pro-Gaza flotilla, in which nine people were killed, Israel has been the focus of harsh international criticism. Do you take this criticism seriously? Ben-Eliezer: I take it very seriously. Firstly since it has lost all proportion and secondly because it works: Every day a new country is joining the anti-Israeli camp. SPIEGEL: Was the raid a mistake? Ben-Eliezer: We walked into a trap. The so called "peace flotilla" was a planned provocation by mercenaries of the "axis of evil". In retrospect, it was a mistake to storm the ships in international waters, although we were allowed to do so. SPIEGEL: The international community views that differently. Turkish Prime Minister Recep Tayyip Erdogan accused Israel of "state terrorism". Ben-Eliezer: I know Erdogan well. I draw a clear distinction between the relationship amongst countries and those between people. While people can get upset with each other, between countries you must be pragmatic. Turkey has a strategic significance for Israel. Therefore, we have to sustain our relations with Ankara at any price. Erdogan has so far made a strategic decision in favor of Iran and Syria and against Israel, but we should leave the door open for his return. SPIEGEL: Why did your government reject an international investigation? Ben-Eliezer: I am not the right person to ask, since I spoke in the cabinet in favor of an international committee, even if it is led by the United Nations. I am confident that the national commission that we set up will work seriously. On the other hand, we raise the suspicion that we have something to hide. But the more I learned about the facts of the operation, the more evident it became to me that we have nothing to be worried about. SPIEGEL: Were you surprised that even the chancellor of Germany, Angela Merkel, sharply criticized Israel? Ben-Eliezer: It is surely painful to hear such criticism. We are talking about one of the best friends of the state of Israel. Merkel is a leader who means what she says. And she is sincere in her intentions towards us. And we have shown this week our goodwill by easing the blockade over Gaza. The cabinet decision to scale back the civilian blockade on Gaza while tightening the security blockade enables Israel to focus on real security issues, Prime Minister Benjamin Netanyahu said on Monday in an address to the Knesset Foreign Affairs and Defense Committee. Netanyahu attended the Foreign Affairs and Defense Committee meeting to explain his decision to lift the "civilian siege" on the Gaza Strip following the international pressure on Israel after the deadly flotilla raid. "Over time, the effectiveness of the civilian siege has dropped," the prime minister said. "The problems with the civilian blockade grew over time before the government's establishment, and this gave Hamas a PR advantage." He stressed that he had asked to examine ways to ease the civilian siege as early as June 9, "in order to strengthen the security blockade and the international support for it." Netanyahu noted that "this is the best decision for Israel, as it drops Hamas' main propagandist claim and allows us and our friends in the world to focus on our real needs in the security area. "Iran is trying to hold on tight to Israel with Hezbollah in the north and Hamas in the south, and it's our right to prevent them from arming. The cabinet's decision focuses on this exact thing, on tightening the security siege." The prime minister told the committee members that the decision to allow the inflow of goods into Gaza was coordinated with the United States, with Quartet envoy Tony Blair and "with leaders of other countries I have spoken to in the past few days". Moving on to the change in the Turkish stand towards Israel, Netanyahu said that Ankara was "beginning to pay the price in the international arena." According to the prime minister, "There is a big change: Turkey's move since the rise to power of the current party. They are making changes in the international regime compared to what they had there 100 years ago. This change moves the internal situation in Turkey backwards. "The moment Turkey realized that it would not be entering Europe, it moved to lead the Islamic world, and this is creating a very negative attitude towards Israel." Addressing Israel's neighbors, Netanyahu said, "My government views Egypt as a source of regional stability. Syria is undergoing a process of becoming stronger with weapons and missiles. It's waiting together with Iran and Turkey for an American decision about Iraq. Anyone in the pragmatic camp understands that the upcoming changes are not in our favor. It also weakens the Palestinian Authority." As for the negotiations with the Palestinians, Netanyahu said: "We must enter immediate talks. The Palestinians thought they could barricade themselves in failing t o enter negotiations, which led to indirect talks. We believe we must move to indirect talks. "One of the main problems will be the outside envelope. In every agreement we must consider the security-related ramifications. What happens the moment we come out? In Gaza we left unilaterally, the PA collapsed and we got Hamas. "We must guarantee that there won't be an entry of weapons and missiles which will turn into a strategic threat on the State of Israel… We are facing difficult days not just because of the flotillas, but also in the face of the big challenges. The prime minister also referred to his scheduled meeting at the White House next month. "I will soon meet with Obama and try to advance the direct negotiations. I will also meet other leaders." "The new policy is better, clearer and serves our true goal, which is to prevent any threat to the citizens of Israel." (Haaretz,Ynet).Just hours after the dramatic decision to ease the Gaza Strip blockade and lift various restrictions, Prime Minister Benjamin Netanyahu explained the significance of the decision Sunday night. In a closed conversation, Netanyahu said this is "no civilian blockade on Gaza, but only a security blockade." "The security blockade is tightened now," the prime minister said, "because we have taken away Hamas' ability to blame Israel for harming the civilian population and because our friends around the world are backing us up on this decision and granting legitimacy to the continued security blockade against Hamas." "We have taken the right decision for Israel from a security and political point of view," Netanyahu asserted. Sources inside the prime minister's office expressed satisfaction with the move. "In the wake of this decision, the world's focus will be on the Qassam rockets Hamas is firing out of Gaza and not the coriander that Israel isn't allowing in," one senior aide told Haaretz. Another official said the policy reversal would have been the right move, even without Israel's raid on Gaza-bound aid flotilla three weeks ago, which left nine activists dead and stepped up pressure on Israel to lift the siege. "The new policy will prevent absurdities like blocking shipments of pasta to Gaza and will strengthen Israel's international position in enforcing a security closure. It will also strengthenl Israel's moral standing in its demand to free [captured Israeli soldier] Gilad Shalit. The decision drew praise from the White House and criticism from the Hamas rulers of the Gaza Strip, who called it "deception" and said that the blockade must be lifted entirely. The prime minister's office said that Israel would release "as soon as possible" a detailed list of goods that would not be allowed into the Gaza Strip, which would include all weapons. Israel's new policy will allow an inflow of construction material into the Gaza Strip for projects approved by the Palestinian Authority or under the auspices of international supervision, including schools, health facilities, water treatment and sanitation, the statement said. Israel also said it would keep the right to ban "dual-use" construction materials that could be used by Hamas to manufacture weapons and to rebuild its military facilities. The change in policy is also aimed at improving economic activity in the coastal territory, said the PMO. The new policy was also to allow humanitarian aid to be brought into Gaza in a more effective way and to ease movement in and out of the coastal territory, said the PMO. Netanyahu's aides criticized former Prime Minister Ehud Olmert's government, saying the fact that it prohibited basic goods from entering Gaza made it difficult for Israel to maintain a security blockade. "The previous policy, which banned the entry of coriander into Gaza, was criticized by our friends around the world," one aide said. "The new policy is better, clearer and serves our true goal, which is to prevent any threat to the citizens of Israel." (Ynet, NYtimes, Haaretz).Israel is easing the blockade of Gaza by replacing a list of allowed items with a list of banned goods limited to weapons and materials deemed to have military uses. Israel's Security Cabinet approved on Sunday the new system, according to which practically all non-military items can enter Gaza freely. For the past three years, Israel has allowed only basic humanitarian supplies in. No new list was released. Cabinet issued a statement saying Israel would "expand the transfer of construction materials designated for projects that have been approved by the Palestinian Authority, including schools, health institutions, water, sanitation and more – as well as (projects) that are under international supervision and residential construction projects, such as the (project) being initiated by the UN in Khan Younis. "Israel plans to expedite the approval of such projects while following the standard procedures," the statement read. Regarding the transfer of goods, it was reported, "The extent of activity at the land crossing active today will be expanded in order to significantly increase the volume of goods that will be transferred through them and in order to expand economic activity." It was also decided, "In case the need arises for an additional increase in crossing capacity, Israel will open additional land crossings only after its security demands are first met." Regarding cargo being transferred into the Strip via the sea, it was reported, "Israel will continue to examine goods at Ashdod Port with the utmost possible efficiency." "Israel will also ease the transfer of people for humanitarian and medical reasons, as well as international raid workers recognized by the Israeli government. As conditions improve, Israel will consider additional measures to make the movement of people within Gaza easier," it was reported. The government said the purpose of the new regulations was to protect Israeli citizens from "terrorism, rocket attacks and any other hostile activity." It said the goal was "to prevent the entry of weapons and war material into Gaza, while at the same time widening the entry of civilian products into Gaza." At the end of the list of easements to be made, the cabinet members leveled criticism at the international community for its treatment for events in Gaza in recent years. "The current defense regime towards Gaza will remain in place. Israel again emphasizes that, together with the US, the EU, and other countries, it views Hamas as a terrorist organization. The international community must insist with determination that all the conditions towards Hamas of the Mideast Quartet be met. We call upon this group to take action to put an end to the smuggling of weapons ad military-support supplies into the Gaza Strip." At the end of the document, the cabinet mentioned Israel's captive soldier in the Gaza Strip: "Gilad Shalit has been in Hamas captivity for nearly four years. The international community must join Israel in sharply condemning his captors and must significantly increase efforts for his immediate release." While Mr. Netanyahu’s announcement did not signal an end to the naval blockade of Gaza, it earned some unusual praise from the Obama administration, which has been especially critical of Israel over the past year. The White House immediately announced that Mr. Obama and Mr. Netanyahu would meet in Washington on July 6, a rescheduling of a meeting abruptly canceled after the flotilla raid, when Mr. Netanyahu cut short a trip abroad to fly home. The White House on Sunday welcomed Israel's decision to ease its blockade on the Gaza Strip and allow an inflow of construction materials, calling on all parties "to act responsibly in meeting the needs of the people of Gaza". "Once implemented, we believe these arrangements should significantly improve conditions for Palestinians in Gaza, while preventing the entry of weapons," the White House said in a statement. "We will work with Israel, the Palestinian Authority, the Quartet, and other international partners to ensure these arrangements are implemented as quickly and effectively as possible and to explore additional ways to improve the situation in Gaza, including greater freedom of movement and commerce between Gaza and the West Bank." The White House added that President Barack Obama would discuss the new policy and further steps during his meeting with Prime Minister Benjamin Netanyahu in Washington on July 6. Obama's spokesman Robert Gibbs reaffirmed "Israel’s right to self-defense, and our commitment to work with Israel and our international partners to prevent the illicit trafficking of arms and ammunition into Gaza." "We believe that the implementation of the policy announced by the government of Israel today should improve life for the people of Gaza, and we will continue to support that effort going forward." "We urge all those wishing to deliver goods to do so through established channels so that their cargo can be inspected and transferred via land crossings into Gaza. There is no need for unnecessary confrontations, and we call on all parties to act responsibly in meeting the needs of the people of Gaza." (ABCnews).In an EXCLUSIVE interview with Jake Tapper on 'This Week', White House Chief of Staff Rahm Emanuel said this is the “moment of opportunity” to make peace in the Middle East. He also announced that Israeli Prime Minister Benjamin Netanyahu will be visiting the White House on July 6th and said Netanyahu is the kind of leader who is willing to take big risks to make peace. Asked by Tapper whether Netanyahu was “the kind of leader who is willing to take big risks to make peace,” Emanuel was straight forward. “Yes,” he said. “But it’s not important what Rahm believes. I mean he has been clear about what he intends to do, what he needs to do. And the President has been clear what we need to do to seize this moment of opportunity here in the region to finally make peace,” Emanuel said. "Would Gaza leaders denounce terror, stop building tunnels, shooting missiles, release Gilad Shalit, there would be no need for any sort of closure or blockade"
President Shimon Peres on Sunday urged Hamas to abandon the path of terror and said that if it were to do so, there would be no need for a blockade on the Gaza Strip. "If Gaza would turn to peace, she would have peace and there would be no need for flotillas," the president said at the start of the annual Jewish Agency assembly in Jerusalem. "We withdrew from Gaza entirely and no Israeli was left in the Gaza Strip." "We did not understand then, nor do we understand now, why after evacuating Gaza, the rulers of Gaza started to fire thousands of missiles against civilian life in Israel. For what reason? For what purpose?". "The question remains unanswered today,Would Gaza agree to peace, to negotiations instead? Would Gaza leaders denounce terror, stop the building of tunnels and shooting missiles, stop attempting to kidnap Israeli soldiers and release Gilad Shalit who was abducted on Israeli territory, there would be no need for any sort of closure or blockade." Peres said attempts have been made recently to de-legitimize Israel. " De-legitimizing Israel means to legitimize, directly or indirectly, the lawless organization like al-Qaeda, Hamas and Hezbollah and their overt and covert supporters, dictatorial regimes who kill and arrest their own people without count, without human respect." "Maybe some of us feel lonely, more than ever... But the truth is that we are not alone. I believe that President Obama says and means that Israel's security is America's top priority. "I believe that Europe with its own experience and in its wisdom will turn to the people of Gaza and the West Bank and tell them that peace depends on them negotiating and is better than shooting." (PEW research).Majorities in many Western and some Muslim countries are willing to consider military action against Iran to prevent the Islamic republic from obtaining nuclear weapons, a global poll showed yesterday. The Pew Research Center’s poll conducted in 22 countries found majorities or pluralities in 16 countries endorsing the possibility of military intervention. Americans are among the most supportive of a military option to deal with Iran with 66 percent of those who oppose a nuclear-armed Iran saying they would consider the use of force, a figure second only to Nigeria’s 71 percent. Among Europeans, the views are more mixed. In France, 59 percent said they would consider the use of military force to prevent Iran from developing nuclear weapons, but a sizeable minority of 41 percent rejected this option. Support for the military option is softer in Germany (51 percent), Spain (50 percent) and Britain (48 percent), while significant numbers (39, 34 and 37 percent, respectively) said it is more important to avoid a military conflict with Iran, even if it results in a nuclear-armed Tehran. In the Muslim world, there is support for the use of military action to stop Iran from acquiring nuclear weapons in Egypt (55 percent), Jordan (53 percent) and Lebanon, with 44 percent supporting such a notion and 37 percent opposed. In Turkey, 37 percent of those surveyed said avoiding a military conflict with Iran should be the priority while 29 percent would consider the use of military force. Pakistanis meanwhile largely support Iran’s purported efforts to acquire nuclear arms: 58 percent favour and just 10 percent oppose Iran acquiring such weapons, the poll showed. Of the Pakistanis who oppose a nuclear-armed Iran, 34 percent said avoiding a conflict with Iran should be the priority and just 21 percent would endorse taking military action. Russians were divided on the use of force, with 32 percent in each camp, while the Chinese poll respondents favored avoiding a clash by a margin of 43 to 35 percent; in Japan the priority of avoiding conflict was endorsed by 55 percent to 34 percent. The poll also showed widespread negative views of Tehran’s Islamic regime and broad support for efforts to prevent the country from arming itself with atomic weapons. “There is widespread opposition to Iran acquiring nuclear weapons and considerable support for tougher economic sanctions against the Islamic Republic,” Pew said in its Global Attitudes Project poll. The poll found strong opposition to the Iranian nuclear effort and support for stronger sanctions in Spain (79 percent), Britain (78 percent), Germany (77 percent) and France (76 percent), as well as 67 percent in Russia and 58 percent in China. Aliza Davidovit/ Thank you Israel!